Painting an abstract painting is so much harder than it looks. I put paint on the canvas and push and pull with the paint: addressing color, value, shapes and mark making until I achieve a balance and sense of space that feels complete. 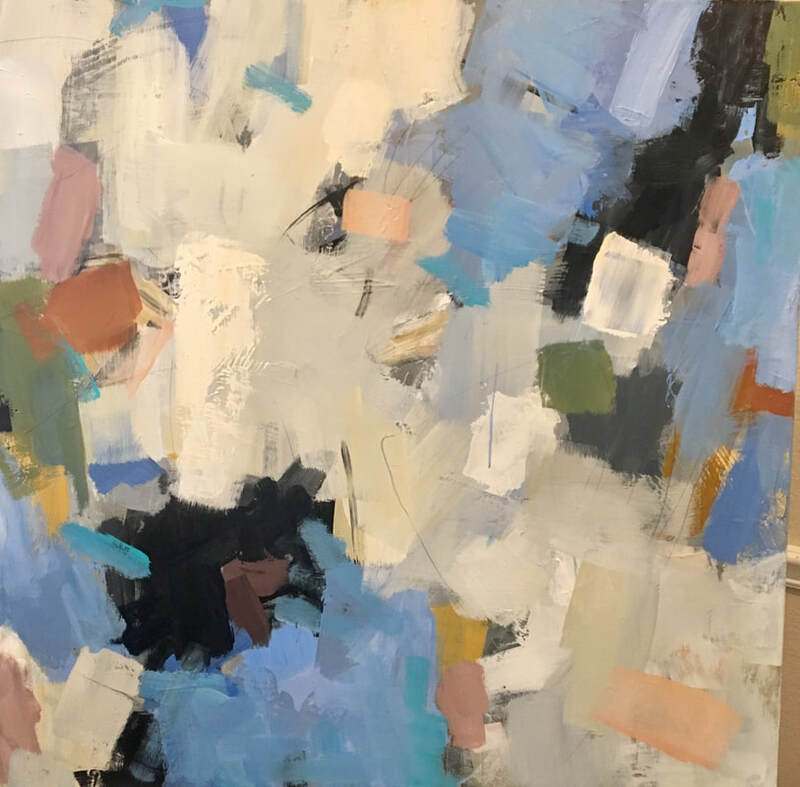 Unlike making a representational painting, abstract work takes its cues not from outside—from a landscape or bowl of fruit or face—but from within. Underneath the finished painting, there are a myriad of paintings the viewer doesn’t see. All of those buried layers represent equations that are wrestled with before I move on. For years, I had a gnawing desire to understand abstract work. I would look at a deKooning, for instance, and think, “I don’t get it.” Then, I started to focus on the paint--at what you can achieve just with the paint--and everything changed. Having the guts to try that myself is where I was hesitant. Once I did try, I found I was still afraid but simultaneously obsessed. ​When I am away from the studio, going through my day, I am always thinking about the painting I am working on, which waits for me back in my studio. I can’t let go of the struggle to solve the problems being posed on the canvas; I can’t let go of thinking about how I will move it forward. ​I find it fascinating that my struggles with my abstract work can parallel those I have in my life, both past and present. I have learned in my life that if I let go a little and let nature take its course, things have a way of working out, often in a way that is better than I could have ever planned. So too with my art, allowing beautiful things to happen with the paint can turn the artwork into something far more interesting than anticipated and with unexpected surprises.